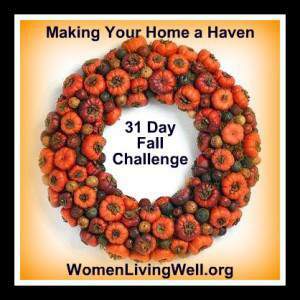 It’s the end of week 3 in the Making Your Home a Haven series over at Women Living Well, and boy, was it a busy one! This week, Courtney had us focus on cooking and baking to make our homes smell good, to create good memories by cooking together as a family, and creating some delicious food. I started off the week by making some crockpot applesauce with some apples that I found on markdown at the grocery store. Ever since I started making my own applesauce, my family has decided that they are now fans of applesauce! I turned on my apple pie Scentsy candle warmer while the apples were cooking to really enhance that yummy apple smell in the house. Later in the week, we made Thanksgiving dinner at our house and invited some neighbors to join us. I was in charge of the turkey, stuffing and veggies, while my neighbor made the mashed potatoes, cranberry relish and dessert. 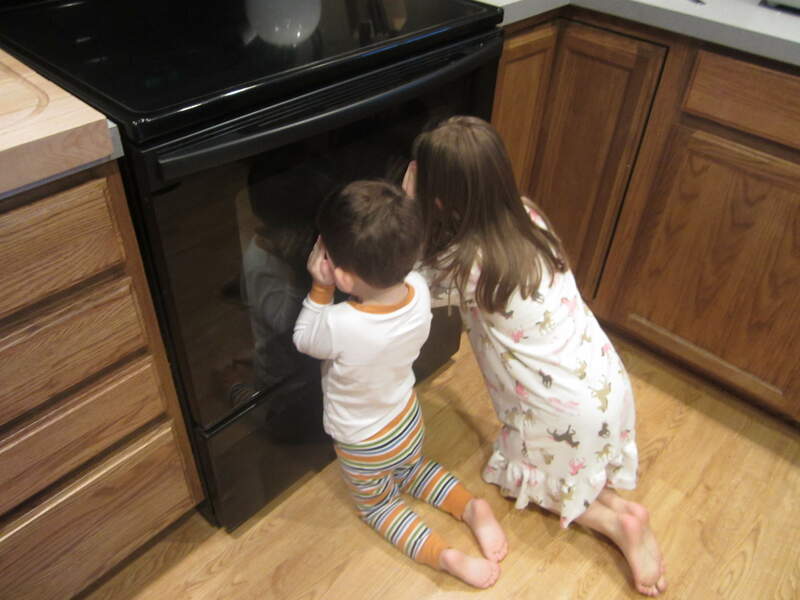 The kids were too excited to help me in the kitchen since their friends were coming over in the afternoon, but they wanted to see what the turkey looked like after it had been in the oven for a while. The smell of the turkey was delicious and definitely made the house feel warm and welcoming. We had a great time sharing dinner with our friends…they are originally from Bulgaria and so they brought the most delicious baklava for dessert. It was so good, I truly didn’t even miss the pumpkin pie (and I’m a huge pumpkin pie lover!). My friend insisted we keep the leftovers at our house, so my husband and I picked at the pan of baklava all weekend…no telling how many calories I ate in just dessert alone, but it was worth it! My husband had to go in to work the day after Thanksgiving, so I made a batch of pumpkin chocolate chip muffins to take in to the office. The kids and I kept a few of the muffins and ate them for breakfast with some scrambled eggs, which my little guy helped me make (I’m kicking myself that I didn’t get a picture of that!). What did you have cooking at your house this past week? I baked a Tar Heel pie for Thanksgiving it is kinda like a brownie in a pie and boy was it good. I also baked some rolls for our dinner. I don’t know of anything that smells better than baking bread, well maybe chocolate. Then I made the full dinner on Thanksgiving. We actually cooked our turkey on the wood fired grill. It had a nice subtle smoke flavor and was a big hit with everyone. I will be doing this again. I also made the Turkey soup kits again this year so now we will be able to enjoy smoked turkey soup next month and later on in the up coming year. Thanks for sharing my recipe. It sounds like the past week you had lots of great smells in your home for your family. Boy, I should have invited myself over for dinner! lol Both the turkey and the pie sound good!